This partnership aims to raise awareness of cheap and environmentally-friendly energy sources, and particularly solar power, by installing solar panels on Brazilian football stadiums to be used during the 2014 World Cup. The generated power will power stadiums during the matches. The partnership aims to promote the use of solar energy in Brazil by installing solar panels on top of football stadiums to be used during the 2014 Football World Cup. The energy will be used to power activities in the stadiums during the matches and also locally. The World Cup will allow the PPP to raise widespread awareness of solar power as an alternative and cheap energy resource among South American consumers. ECOLUZ S/A is a brazilian company, acting in the Power Efficiency market since 1987, in all the economy sectors in Brazil and Latin America. In accordance to the current needs of the producing and consuming market of energy, the ECOLUZ S/A has been developing, through its specialized professionals, remarkable contributions for the improvement and efficiency of the use of power in Brazil, always in step with the best governance and environment practices in vigor in Brazil and in the World. “Power Efficiency” actions immediately bring cutbacks for customers on their fixed costs and/or on their variable costs by reducing expenses with power, which reflects on an improvement in the production and, as a consequence, a gain in competitiveness. By using an experimented technology concerning actions of “Power Efficiency”, ECOLUZ S/A has contributed for the reduction of the companies’ power expenses. Its client base is composed of electric power distribution concessionaires, supermarket chains, hotels, hospitals, banks, telecommunication companies, industries and also by government organisms. The existence of alternatives for the contracting power services allows some consumers to choose the demand contractual fare framing which results in less spending in electric powering. Decisions about it, however, must be taken only after a convenient verification of the consumption patterns and of the demand for power in the hour-segments (peak or out of peak hours) and in seasons (dry or humid ones)*. *Power Distribution Companies in Brazil is used to charging for power in accordance to its demand during the day – different fares for certain hours of the day with peak demands or out of these hours, as well as for different seasons of the year (defined as dry seasons and humid ones). In many situations, the analysis for a new fare framing fitting requires an evaluation of the possibility of generating power during peak-hour demands, mainly for those consumers who have emergency power generators in their facilities, which may bring expressive reduction of outflows with electric power. 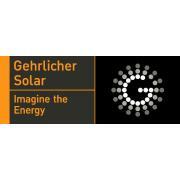 Gehrlicher Solar AG is a photovoltaic company headquartered in Nuestadt, Germany and its administrative office is in Dornach, Germany. The company was established in 1994. Since then it has been developing concepts and solutions for innovative use of renewable energies and the company considers this to be a contribution to an energy revolution that is responsible ecologically as well as economically. Their global operations include about 350 employees and 13 branch offices in Germany, Spain, Italy, England, France, the Czech Republic, Romania and the USA as well as joint ventures in India, South Africa, Brazil and Turkey. The administrative centre of the company is located in Dornach near Munich; the company’s registered office is in Neustadt near Coburg. As one of the largest independent system integrators, Gehrlicher Solar plans, builds, finances and operates solar power stations in the multimegawatt range all over the world. Planning and implementation of turn-key photovoltaic rooftop systems are also part of their service portfolio. As a wholesaler, the company offers complete systems which are carefully selected and inspected and also components for on-grid and off-grid systems. Their in-house research and development department creates new and innovative system components, while the company's GehrTec® product group offers intelligent solutions for an array of installation and application types. They ensure reliability of existing photovoltaic power plants by deploying their in-house specialists to handle operations as well as service and main–tenance. As a result of the company's experience and demand for quality, life cycle and profitability of their systems, the company offers sustainable solutions for sustainable energy generation. Gehrlicher’s products and services allow for a sustainable energy supply for today’s and tomorrow’s generations. The company takes mission to advance the inexhaustible solar energy and make it widely available. It pursues this goal by implementing numerous solar energy projects and investing intensely into research and development. Gehrlicher, group of companies assume social responsibility for their regional locations and their employees. Their customers’, investors’ and employees’ trust grown over time is the basis for their sustainable success as a family business. Additionally, the company gets involved by supporting particular projects or implementing them themselves. This includes promoting social initiatives, associations or people in need. The company is engages particularly in regions which we are closely connected to for business or family enlaces. In 2010, amongst other things the company promoted sports activities in Rothenburg, Lauingen and Haar, made a contribution to the Kindergarten in Gutenstetten and the Künstlermeile Haar. Also in previous years we supported sports clubs, church communities and initiatives for people in need. As an example, in 2009 we donated to the Foundation for children suffering of cancer Coburg, supporting their work for affected children and their families. In the wake of the catastrophic earthquake on Haiti in January 2010, the Gehrlicher family sought to help the people affected and donated to Doctors without Borders for their medical assistance in the crisis areas. A focus of the company’s international social engagement is placed on Africa. This is partly due to the globe’s sun belt being the natural spot for applying solar energy. However, it allows them to contribute to the development of African countries. Studies show over and over again that development and availability of energy are closely intertwined. Learn more about their projects in Guinea Bissau, the Republic of Congo and Tansania.